Beverly Hills has lots of attractions, from the posh shops of Rodeo Drive to random celebrity sightings. But Crystal Lovelady and her husband, Shane, got a really sweet taste of the California city at a shop that specializes in a distinctly French treat: macarons. Once the couple returned to Alabama, they had ’Lette Macarons shipped to them. “That’s how much we missed them,” Crystal said. Crystal, a civil engineer, said she and Shane, a real estate appraiser and broker, were looking for and praying about the right business opportunity. Opening a ’Lette Macarons shop through a licensing agreement with the owner seemed just the recipe they were looking for. “Everything just fell into place,” Crystal said. ’Lette Macarons opened in Cahaba Heights July 24 with a festive celebration. Crystal Lovelady, above, a civil engineer, said she and husband Shane, a real estate appraiser and broker, were looking for and praying about the right business opportunity. Opening a ’Lette Macarons shop through a licensing agreement with the owner seemed to be just the recipe they were looking for. Journal photos by Jordan Wald. 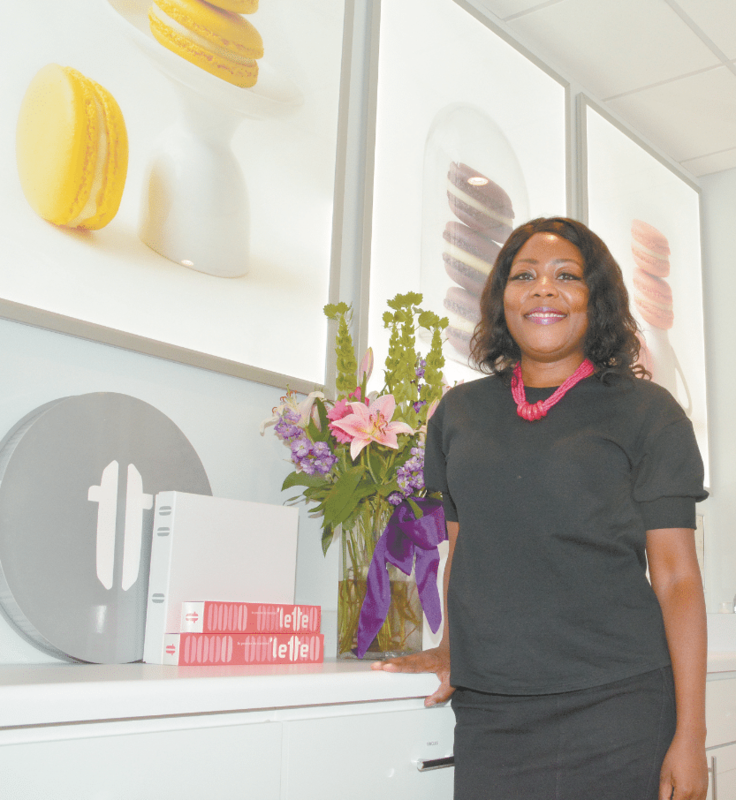 Paulette Koumetz, a native of Paris, opened her first macarons shop in Beverly Hills in 2007. They hit on a shop that would specialize in macarons, a time-honored French confection. Macarons are small sandwich-like meringue cookies made with almond flour and egg whites and filled with creamy ganache, jam or a cream-based filling. They’re persnickety treats that are notoriously difficult for even skilled home cooks to make. While the confections have grown in popularity in the U.S. during the last few years, they weren’t well known when the Koumetzes opened their first shop. She said passersby also asked if the bakery would be serving macaroons, which are dense cookies made with coconut. “We had to explain the difference,” Koumetz said. Macarons aren’t made at the Cahaba Heights store but shipped in from the parent company. Flavors range from classic to exotic. The ’Lette Macarons menu includes Caribbean chocolate, Madagascar vanilla, passion fruit, rose, salted caramel, coconut, Earl Grey tea, lemon – all filled with ganache in the same flavor – and violet cassis with violet ganache and black currant jam. Koumetz said she’s partial to the Colombian coffee macaron, while Lovelady said she likes the sweet wedding almond. Seasonal offerings include pumpkin in the fall and white chocolate for Christmas. “Everybody always wants to know when our pumpkin macarons are coming,” Koumetz said. The stores also have shortbread cookies. Lovelady said she’s happy to work with customers on custom orders but advised giving her plenty of notice. In addition to educating customers about macarons, Koumetz said she also had to convince them that these petite treats packed a big punch of flavor. ’Lette Macarons is at 3112 Heights Village in Vestavia Hills. For more information, call 518-0808, follow the store on Instagram @lettevestaviahills, or visit lettemacarons.com.